Apple has become the first US company to be worth more than $700 billion, which is nearly double its nearest rival, Exxon Mobil. This new high comes after record sales of big-screen iPhones and a fourth-quarter profit that was the largest in corporate history. Shares in the US tech giant rose 1.9 percent on Tuesday and closed at just over $122, breaking the record for the highest US market capitalization. The company continued its growth streak Wednesday, as the share price rose another 1.52 percent in early trading to reach $123.80.In 2000, it was Microsoft that became the first American company to close with a $600 billion valuation. Apple’s sales are rising incredibly fast in China, a vast market in which the firm earned $38 billion in 2014, up from $1 billion a few years ago, said Apple’s chief executive Tim Cook while speaking at the Goldman Sachs Technology and Internet Conference. He also added that Apple earned $50 billion in emerging markets over the past calendar year. 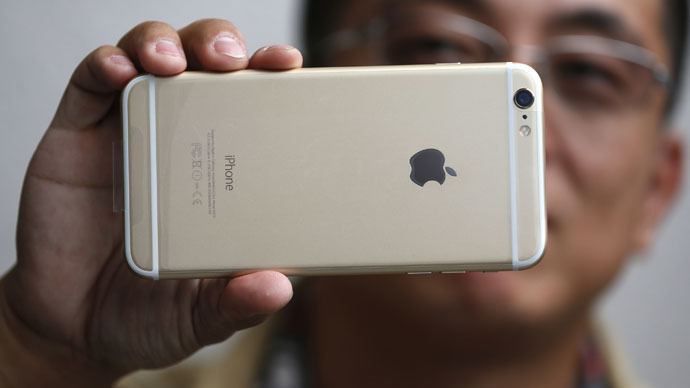 The record $18 billion quarterly profit was driven by the sale of 74.5 million iPhones. Apple’s CEO also revealed the company plans to invest about $850 million in a California solar farm to cut its energy bill. The construction of the project, in partnership with First Solar, is expected to start in mid-2015 and finish by the end of next year, Reuters says. Cook called it his company’s “biggest, boldest and most ambitious project ever,” and said it was part of Apple's commitment to clean energy and corporate responsibility. Shares in First Solar rose nearly 5 percent on the news and continued to rise in after-hours trading.